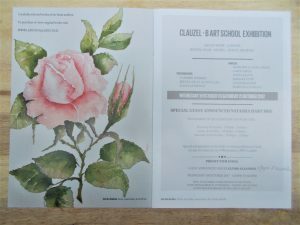 Exhibition of works by art class students from famous painters Carol and Francin Backer. 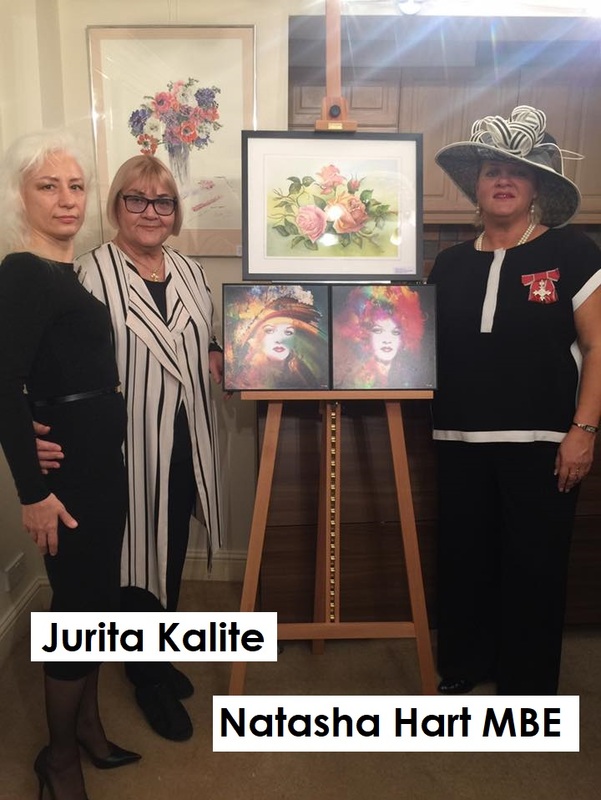 The Art exhibition was organised with the support of Ms Jurita Kalite as a charity project to help develop young artists with the involvement of celebrities. 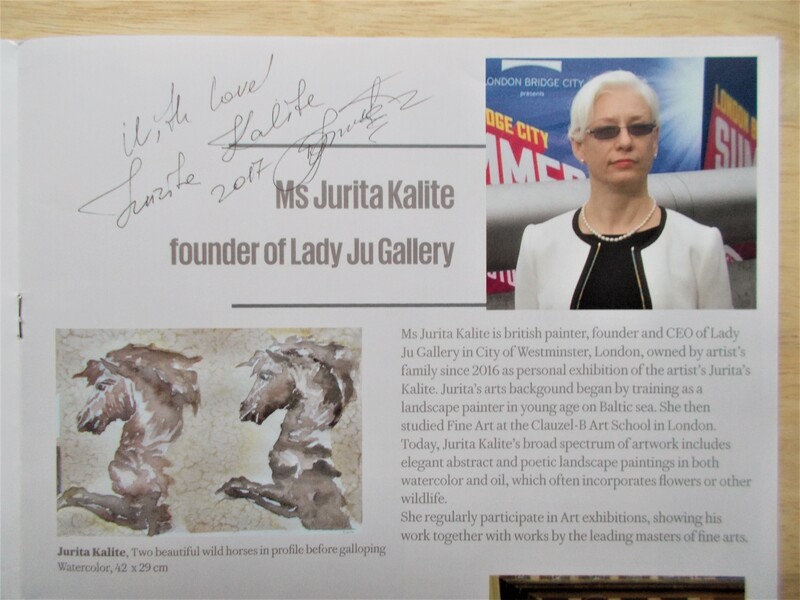 Famous guests was immensely grateful to the Jurita kalite and personally signed in the exhibition catalogue for her. 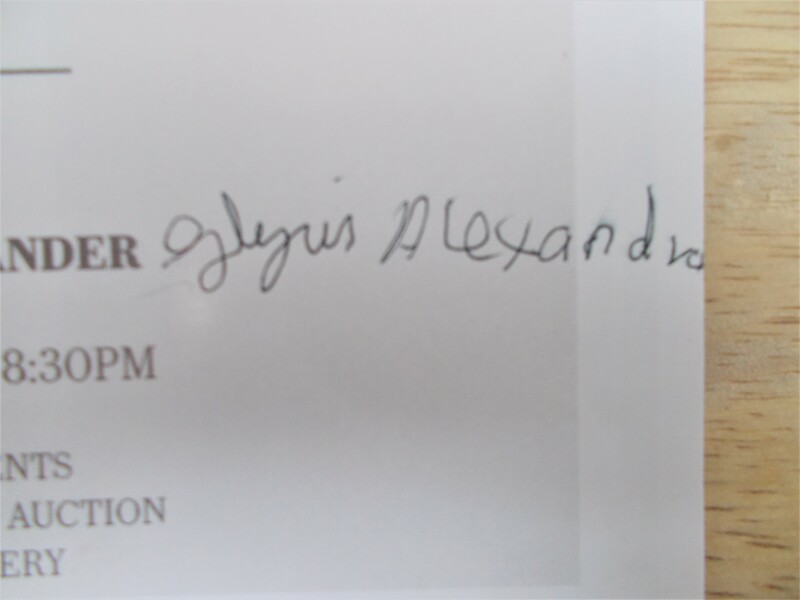 Each guest put his real autograph with a ballpoint pen on the page describing his biography. Today, there are only four catalogues, where celebrities put the original signature in this event. 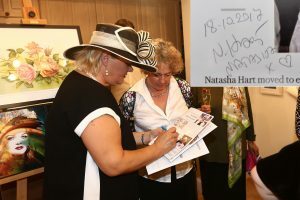 Four catalogs as the number of Jurita family members were signed by the celebrity, namely: for Mum Svetlana, sister Tatiana, daughter Melani and for Jurita herself. 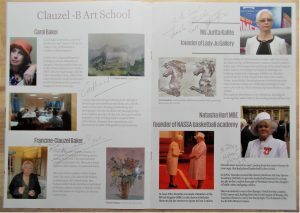 All of them have historical value, and therefore are not sold. 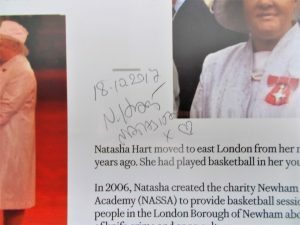 But the estimated cost of the Art Catafalque with original signature of the legendary athlete, artists, singer and journalist – more than 6 thousand pounds (cost £1,000.00 GBP for each signature of celebrity autograph and or message). 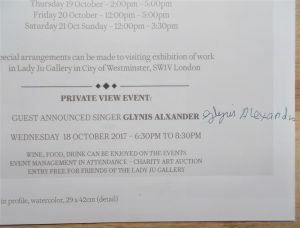 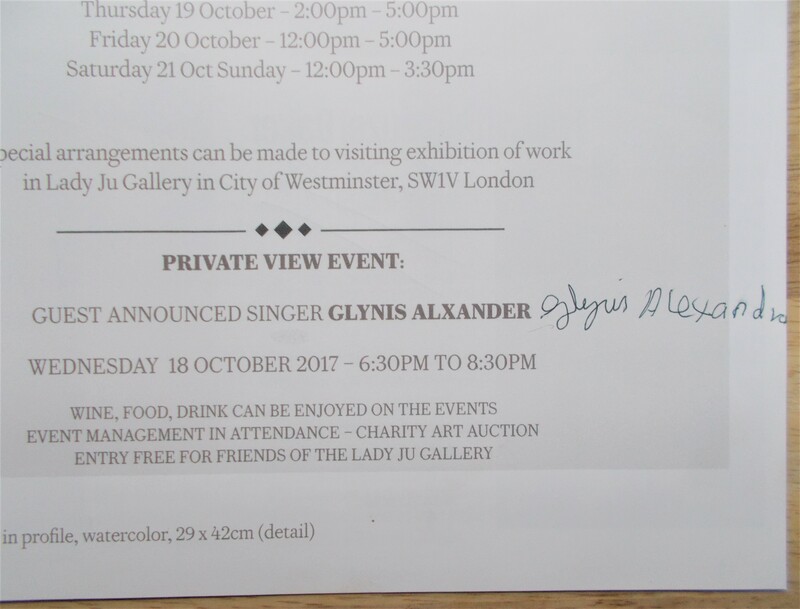 GLYNIS ALEXANDER, guest announced singer. 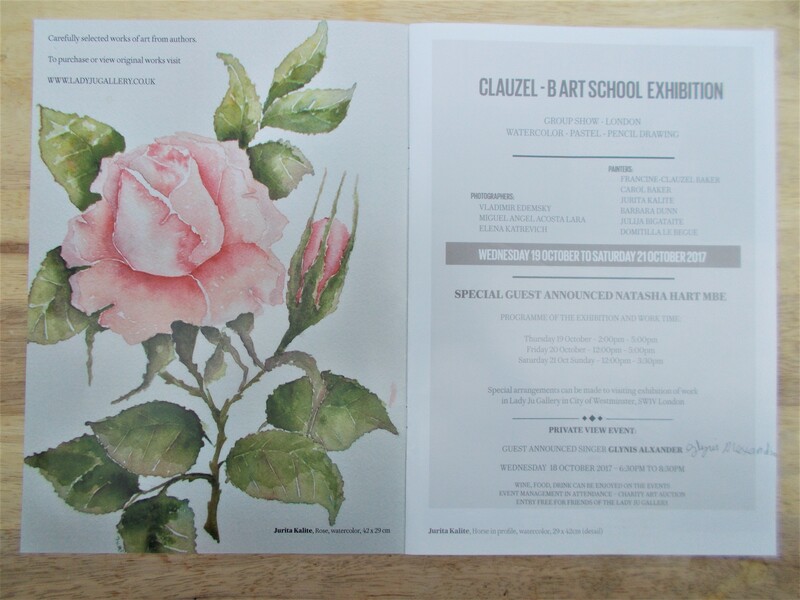 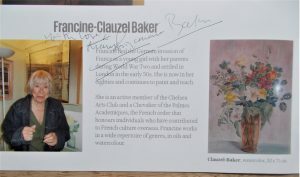 FRANCINE-CLAUZEL BAKER, artist, “With love” message, owner of Clauzel-B-Art School. 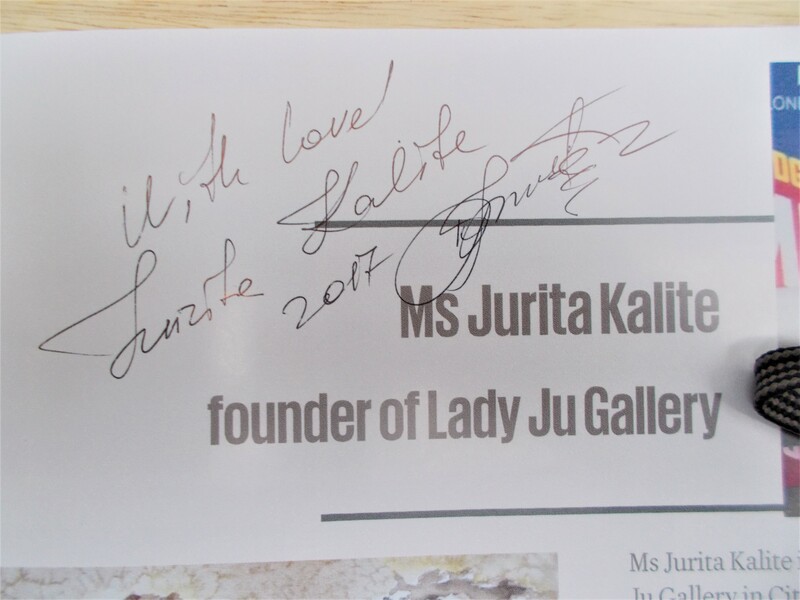 JURITA KALITE, “With Love” message, artist, founder and CEO Lady Ju Gallery. 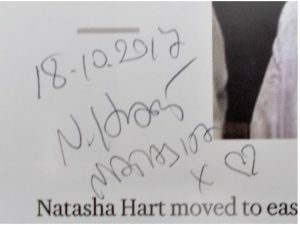 NATASHA HART MBE, founder and CEO NASSA Basketball Academy, Drawing heart and date 18.10.2017. 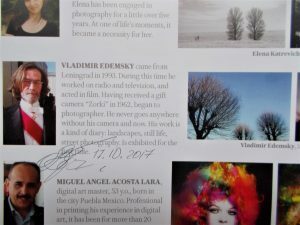 VLADIMIR EDEMSKY, famous Cold War Journalist. 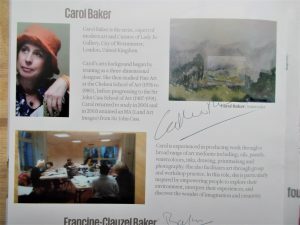 Carol’s arts backgound began by training as a three-dimensional designer. 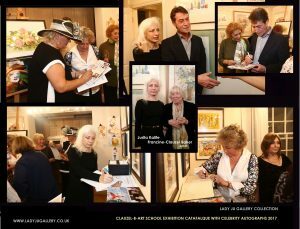 She then studied Fine Art at the Chelsea School of Art (1976 to 1980), before progressing to the Sir John Cass School of Art (1987-1991). 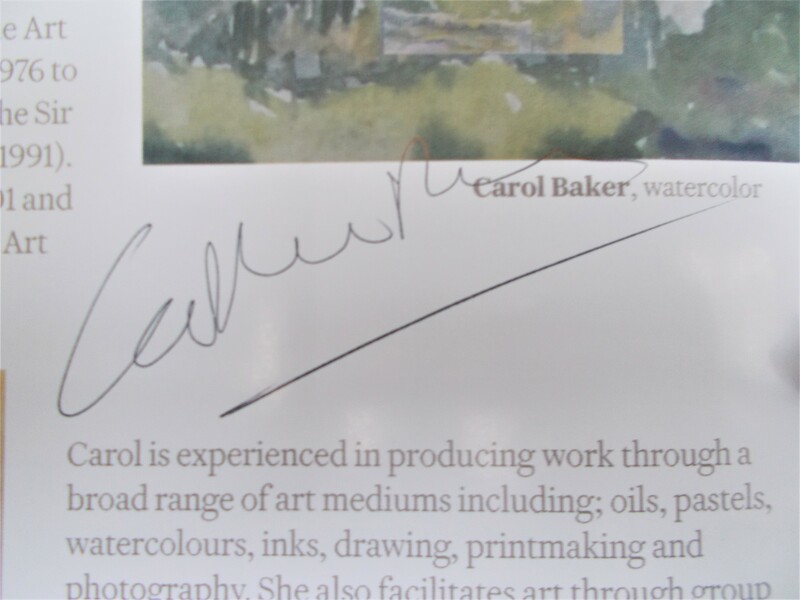 Carol returned to study in 2001 and in 2003 attained an MA (Land Art Images) from Sir John Cass. 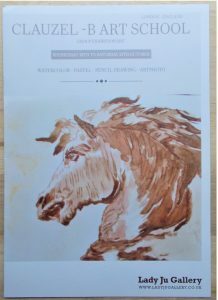 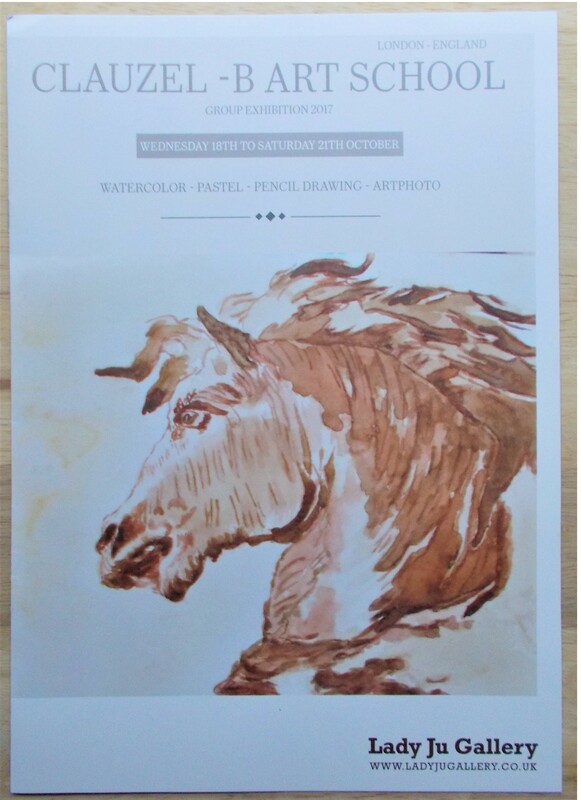 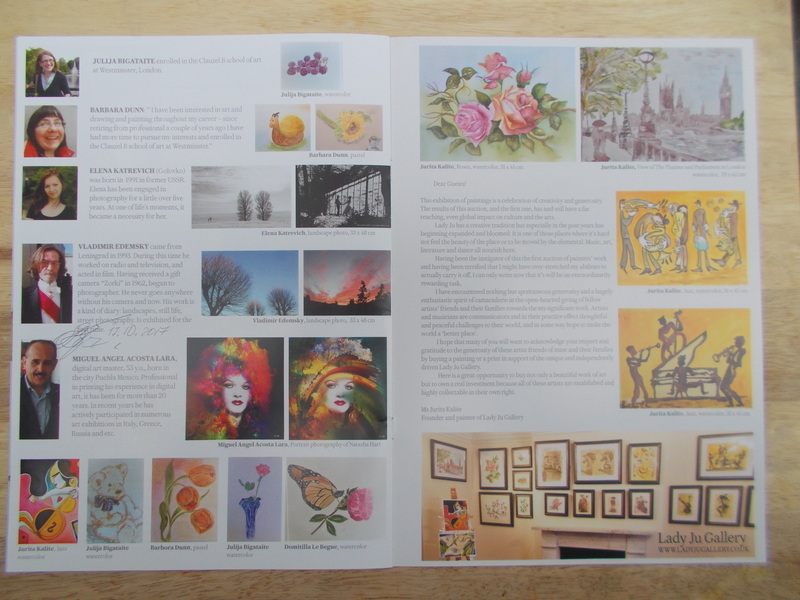 Carol is experienced in producing work through a broad range of art mediums including; oils, pastels, watercolours, inks, drawing, printmaking and photography. 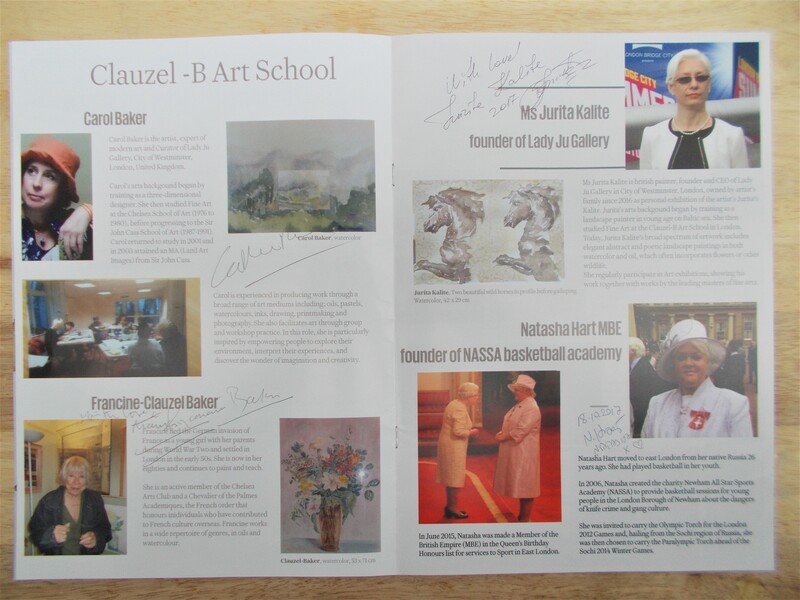 She also facilitates art through group and workshop practice. 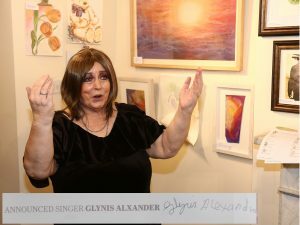 In this role, she is particularly inspired by empowering people to explore their environment, interpret their experiences, and discover the wonder of imagination and creativity. 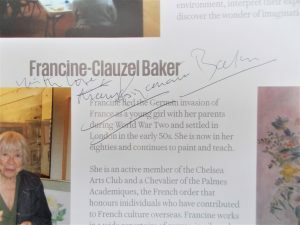 Francine-Clauzel Baker fled the German invasion of France as a young girl with her parents during World War Two and settled in London in the early 50s. 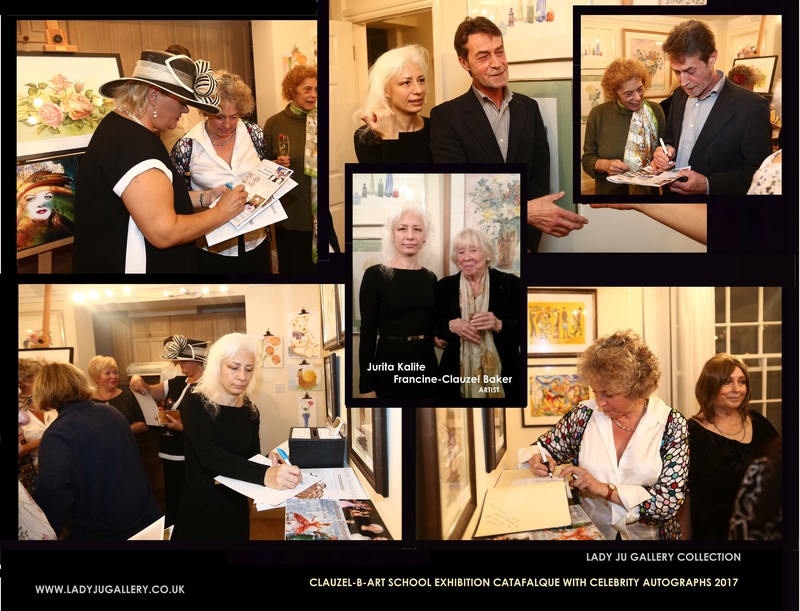 She is now in her eighties and continues to paint and teach. 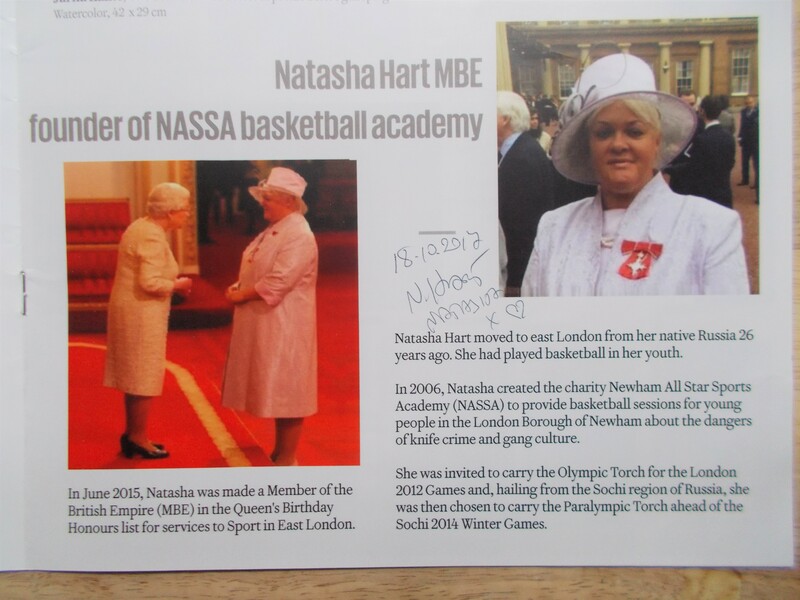 Natasha Hart, founder and chief executive of Newham All Star Sports Academy (NASSA), has been made a Member of the British Empire (MBE) in the Queen’s Birthday Honours list for services to Sport in East London.18 October 2017 Ms Jurita Kalite welcomed her new guests to Lady Ju Gallery. Ms. Natasha Hart MBE herself went to honored with a visit the Ms Jurita Kalite Exhibition who welcomed him warmly, especially his family daughter and mum’s. 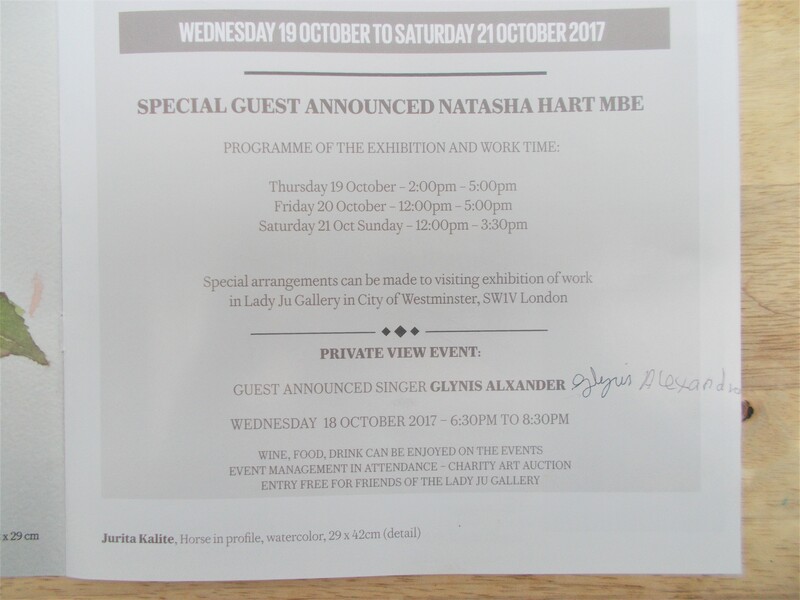 Ms Jurita Kalite was appreciate to Ms. Natasha Hart MBE that has stayed at artist’s exhibition to give comments below for the rest of the world to see. 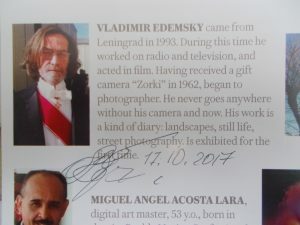 Vladimir Edemsky came from Leningrad in 1993. 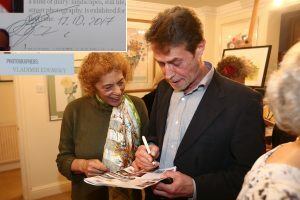 During this time he worked on radio and television, and acted in film. Having received a gift camera “Zorki” in 1962, began to photographer. 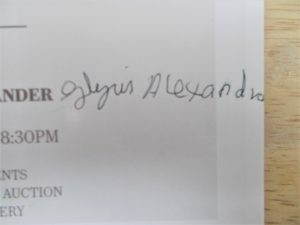 He never goes anywhere without his camera and now. 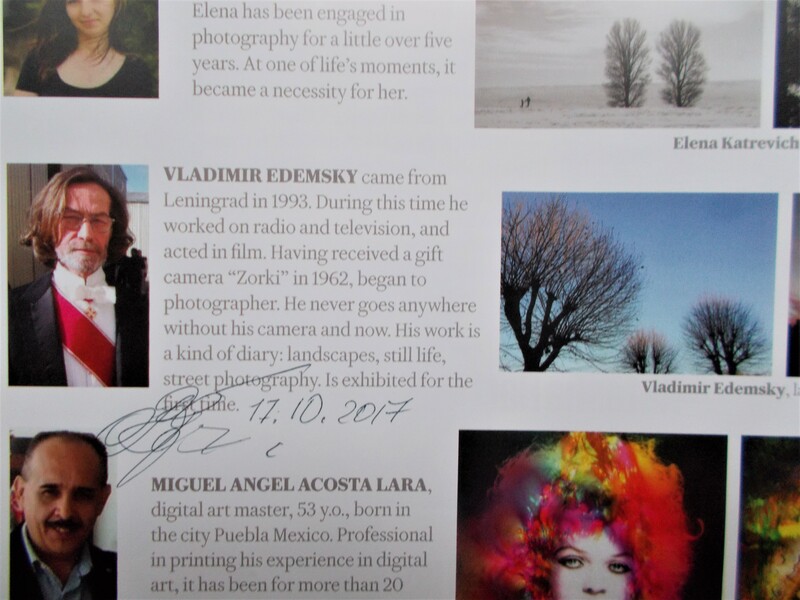 His work is a kind of diary: landscapes, still life, street photography. 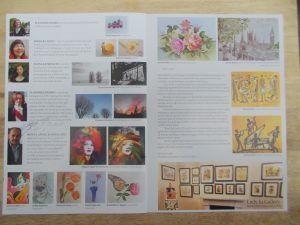 Is exhibited for the first time. 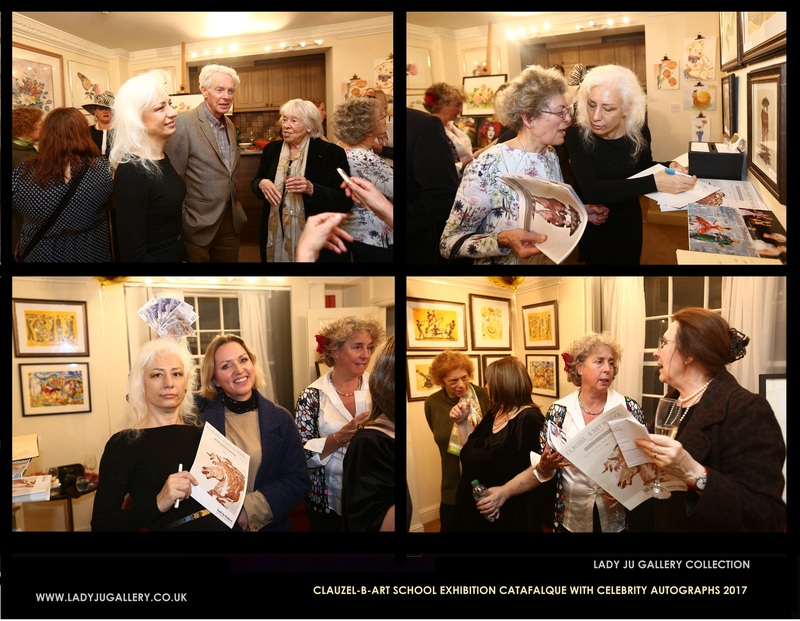 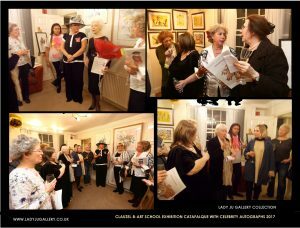 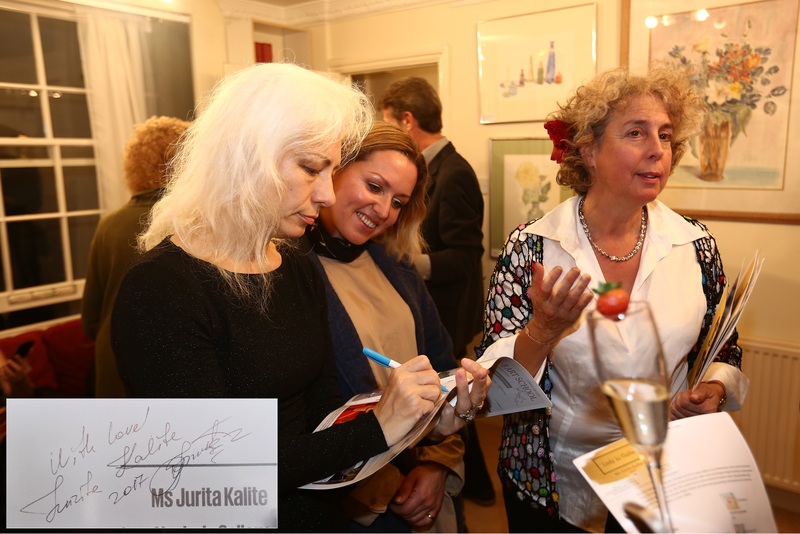 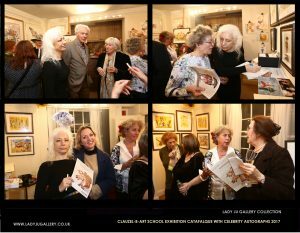 18 October 2017 Ms Jurita Kalite welcomed artist to Lady Ju Gallery. 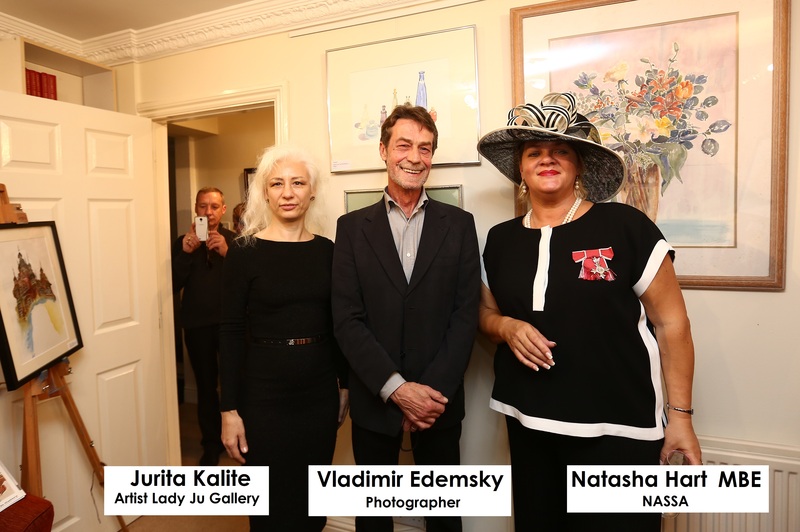 Mr. Vladimir Edemsky herself went to honored with a visit the Ms Jurita Kalite Exhibition who welcomed him warmly. 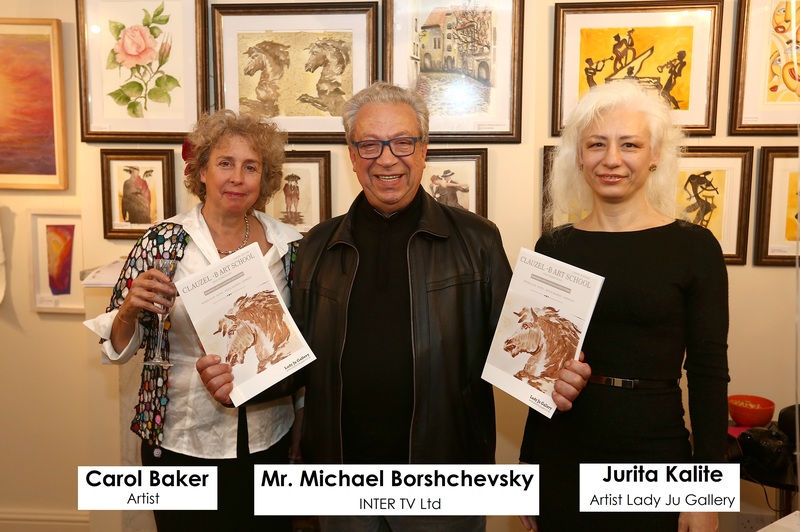 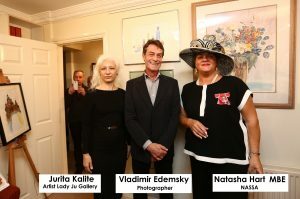 Ms Jurita Kalite was appreciate to Mr. Vladimir Edemsky that has stayed at artist’s exhibition to give comments below for the rest of the world to see. In catalogue create message “With Love” . Jurita is a web design professional who id devoted to the arts. Having earned a Certificate in University of Tel Aviv, she continues to learn about contemporary art and design on courses throughout London. She founded Lady Ju Gallery in 2016 and has since been involved in the development of the gallery and the integration of new technologies in the art field. Her experience working in galleries includes liaising with artists and their representatives, sales, social media promotion and organising exhibitions. 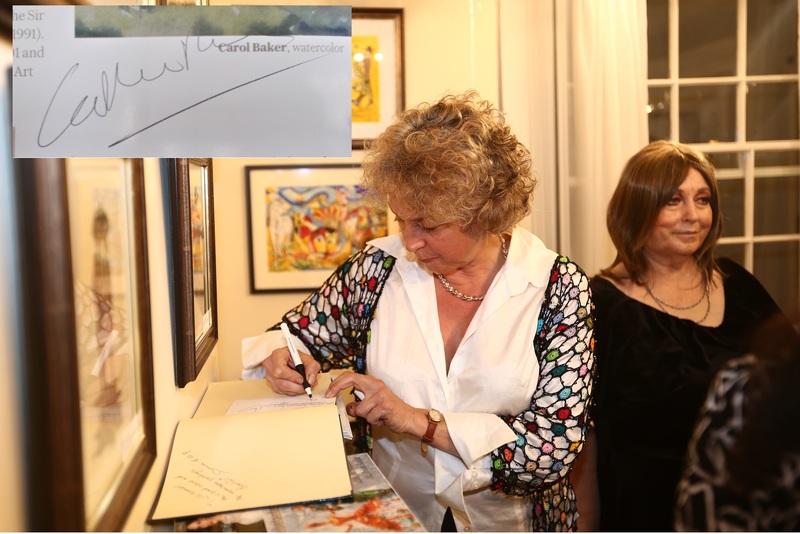 She is inspired by working with artists – their passion fuels her own. Ms Jurita Kalite as author and artist include with every painting she drawing a Certificate of Authority (CA). It’s a personal letter to the buyer on Ms Jurita Kalite’s letterhead documenting the title of the piece, size and medium and the support, to whom it was sold and the date. This begins the ‘provenance’ of the artwork which can be passed on to any new owner documenting a sale or gift to another. 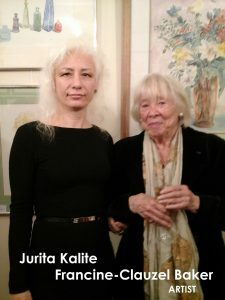 Ms Jurita Kalite also include the statement that she retain all copyrights to the image.